Not my favourite variation of this well known design. 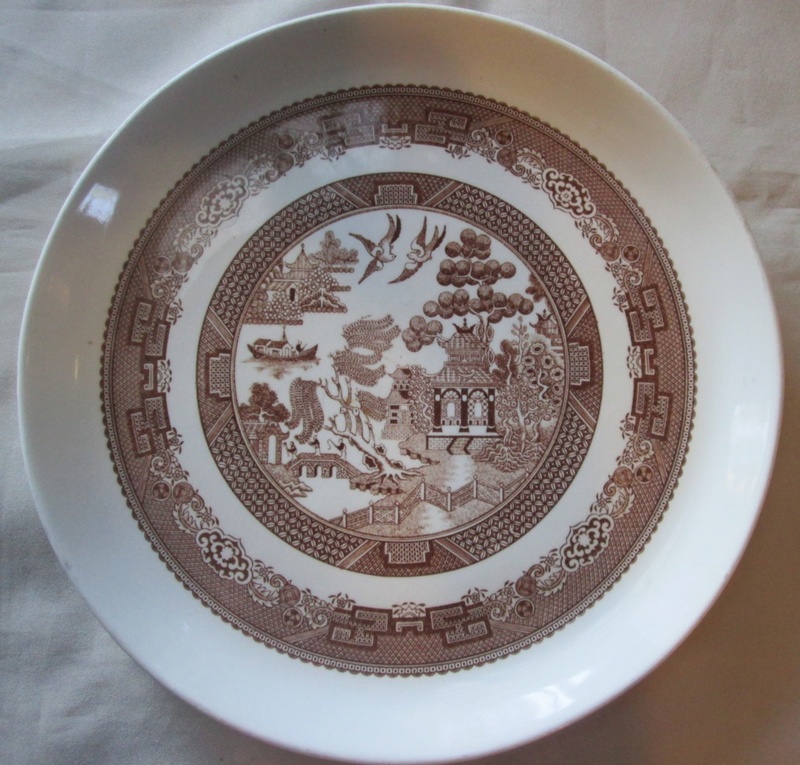 Found this platter this week, is this the chop plate? you are looking for Ev? 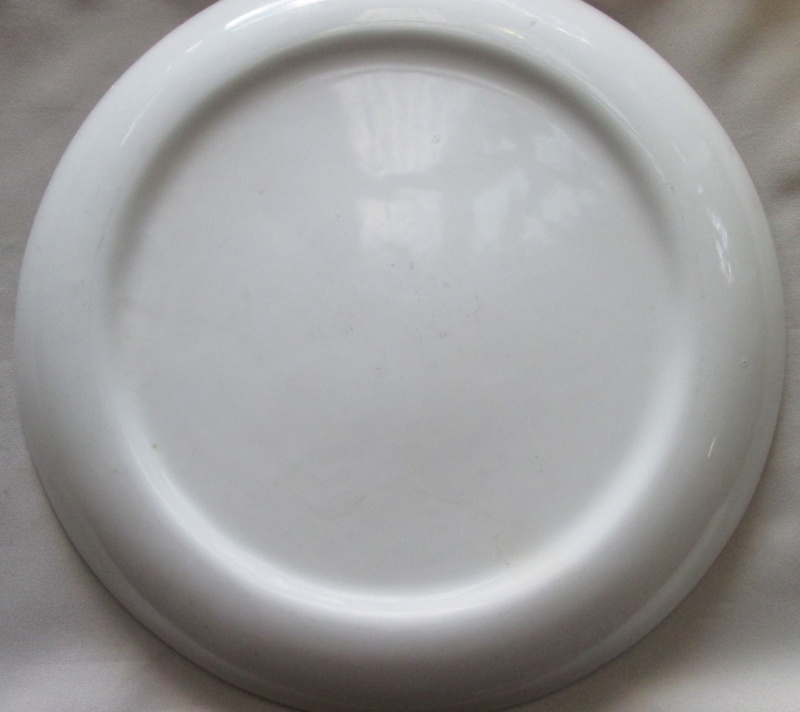 It is a big platter 31cmW it stacks ok with my Forma Platters but is more Coupe shape.. Classique shape perhaps? 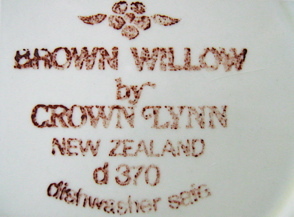 This maybe a different brown willow pattern number as its darker than the one above..Alas no markings on the back. 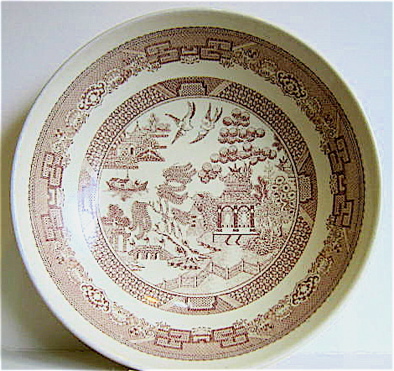 This will be the Classique Chop Plate/Platter and I will have to check it out to see if we have it in the Gallery. Very interesting thanks Kat. It will be the Shape 4067 Kat and it's not in the Gallery as the record is too fuzzy to read, but thanks to you I have been able to work it out.